It is of course merely coincidence that this summer we are also seeing the horrific consequences of real-life conflict between two sides in Gaza. It would be much easier to view the conflict in the light of films like Transformers where the evil Decepticons are clearly thus and must be destroyed. However, real-life is rarely so simple, and evil never so easy to identify. In X-Men: Days of Future Past we see Wolverine travelling back in time to try and prevent the assassination of Trask, a scientist determined to wipe out the mutants with his robotic sentinels. The message of the film seems to be that while violence can appear to do good in the short-term, its long-term impact is often messy and lead to consequences much worse than the alternative. In Dawn of the Planet of the Apes, a war between what remains of the humans and a newly formed ape community is almost inevitable. However, fear, distrust and the reality that war is often a popular option with community’s citizens, lead to conflict in the final act. 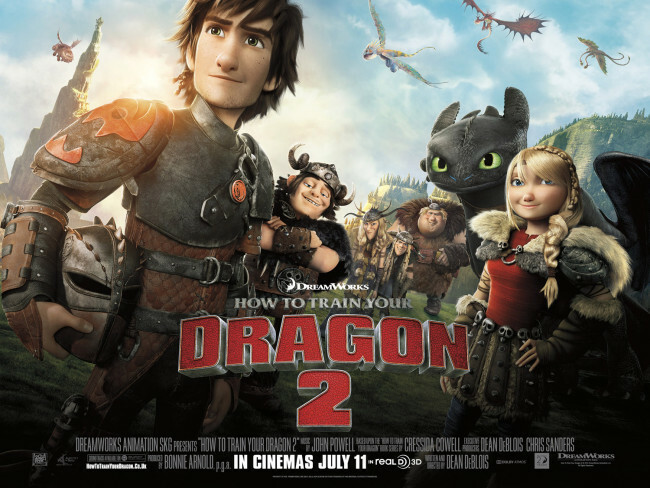 Finally, How to Train Your Dragon 2 sees Hiccup continue to try and create a world where dragons and humans work together. Unfortunately, in his way is Drago, someone who sees dragons as a means to his end. Unlike his father, Stoic, Hiccup believes there is a peaceful solution to the conflict with Drago and is prepared to put himself in great danger for the sake of reconciliation. If there is a problem with these three films it’s that despite all revolving around plots and protagonists who want to avoid war all three films (MINOR SPOILER ALERT) end with big budget, dazzling, impressive fight sequences. It’s as though these films are saying: “we’ve paid enough lip service to peace, it’s time to give the audience what they paid for.” This is problematic, since it requires all the main characters to be strong in battles, and they all use violence to prove their worth. In the real world of course peacemakers are not known for their mad fighting skills, rather they are known for going through immense personal sacrifice to achieve their aims. Where as in these three films, respect is gained through the protagonists’ use of violence. Perhaps I am expecting too much of films to deal with their stories in a more consistent ethical manner. Films after all are attempting to entertain, challenge, and inspire us – and these three films broadly succeed on these fronts. However, the ethics they choose to portray are, more often than not, those they consider palatable to the audience. These films’ characters use violence because, for whatever reason, we allow them to do so – it makes sense to us. Perhaps the only way they will change is if our attitude changes first? This entry was posted in 2014, blockbuster, Dawn of the Planet of the Apes, How to Train Your Dragon 2, movie, peace, summer, violence, watching, X-Men Days of Future Past and tagged Film. Bookmark the permalink.